Certara, a Princeton-based drug development solutions company, announced Wednesday four senior executive appointments in its Simcyp division. Simcyp, it said, is a provider of mechanistic modeling technology for drug development. Rob Aspbury has joined Simcyp as chief operating officer, Certara said, as well as Frederic Yves Boi being named the division’s new senior scientific advisor and head of mechanistic modeling; Will Redfern as vice president, quantitative systems toxicology and safety; and Noriko Okudaira as senior consultant/scientific advisor. Aspbury has more than 17 years of commercial and scientific leadership experience. He was previously named global finance director at Covance‘s Clinical Pharmacology Services Division, then was named to managing director, then vice president, Europe, and later vice president and general manager, global. His most recent appointment was vice president of Covance Strategic Solutions, Biosimilars. Prior to Certara, Bois was previously research director of the French National Institute for Industrial Environment and Risks. He also has spent time as professor and chair of mathematical modeling for systems toxicology at UTC and INERIS. Former governors Jim McGreevey, Chris Christie and Jim Florio responded to news that Gov. Phil Murphy called for the resignation of members of the NJEDA at the Commerce and Industry Association of New Jersey event on Wednesday. The interest of the two always appear to be at the opposite ends of the spectrum. Yet, there are also always accusations of favors or softer stances when donations and contributions are tracked. How should government view business? It was a question posed by moderator Kevin McArdle to three former governors, Chris Christie, Jim Florio and Jim McGreevey, at a Commerce and Industry Association of New Jersey event Wednesday. “There’s this impression that there’s a strained relationship often, between government and business, is that true?” McArdle asked. Florio said it’s all in the eye of the beholder. McGreevey agreed, saying it had to be a collaborative partnership, especially with government acting as a catalyst for public-private relationships. “No business community, no governor, is going to be entirely enthralled about what each are doing because a governor justifiably has a different set of priorities, but there has to be an alignment,” McGreevey said. Christie said there needs to be a healthy tension between the two sides. ShemarooMe, it said, will provide Indian American audiences with on-the-go access to its exclusive portfolio of Bollywood, regional language, devotional and children’s content. The streaming service originally was unveiled in India earlier this year. “As a company we’ve always understood the pulse of our diverse audiences, and our history is a testimony to that. Today, we are excited to extend our content offerings to loyal fans of Indian entertainment in the US with a host of integrated features such as linear channels, live streams and video-on-demand services. With this launch, we look to further build strategic partnerships in the world’s leading OTT market,” Shemaroo CEO Hiren Gada said. Customers can choose from seven different content categories, including Bollywood Plus, Bollywood Classic, Gujarati, Punjabi, Marathi, Kids and Bhakti through two subscription options. —Biggie’s Clam Bar has been in business in some form since it first opened as a pushcart operation back in 1946. 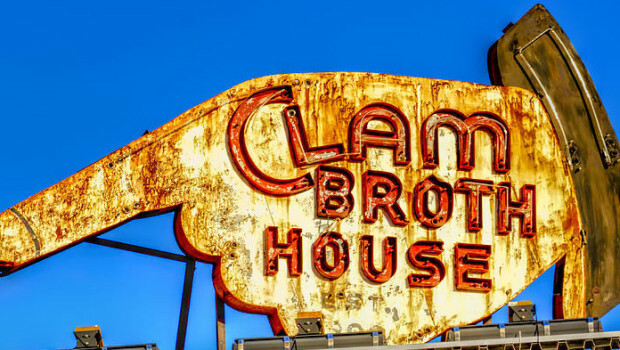 Now that the last remaining outpost on Newark Street in Hoboken has finally closed its doors, and a new owner is moving into the space once home of the historic Servanti’s Restaurant, aka the “Clam Broth House” (which you might remember for its iconic neon sign). The new owners are a restaurant group called Goodfellas Bar & Grill. In October 2016, Biggie’s shuttered its original, seven-decade family-owned-and-operated outpost on Madison Street, moving all resources to the Newark Street location which will now, presumably, be a Goodfellas Bar & Grill. —According to their Instagram announcement, it was a lease agreement issue that ultimately took out C.C.’s Kitchen in Haddon Heights. The restaurant was owned and operated by chefs Matt Salvitti and Tyler Serenelli, who despite relative youth emphasized old school standards of quality and house-made product. The sudden closure comes as a surprise: C.C.’s was one of our 28 Hottest New Restaurants of 2019. We would be interested to see where the chefs go from here. C.C.’s Kitchen, 517 Station Avenue, Haddon Heights. —They almost made it to a century. Formica Brothers Bakery, the 99 year-old bakery that grew to supply close to 300 Atlantic City and Shore sandwich shops with bread, has filed for Chapter 7 Bankruptcy. The filing comes as a result of two lawsuits filed for workplace accidents, one involving the necessary amputation of a worker’s arm. Frank Formica, current owner and grandson of the original founder, told the Philadelphia Inquirer that filing for bankruptcy was the bakery’s only way to manage the high costs at hand (which were high even after worker’s compensation insurance covered $10 million). There’s a new leaseholder of the Formica Brothers name and recipe, and 67 of Formica’s 71 employees will move with production. Let’s face it, the maintenance it takes to look your best can be time consuming. Once you identify the brands you prefer, you have to schedule appointments and run around town getting to them. Enter BLVD: Brows, lashes, blowouts and manicures, all in one place. To Robin Moraetes, BLVD’s co-owner, the concept was a no-brainer. Moraetes spent 17 years as a marketing exec coming up with innovative ways to promote mega-companies such as Dell, Moet & Chandon, Coca-Cola and Starwood Hotels & Resorts. Moraetes brought that same ingenuity when she was ready for a new venture. She joined forces with fashion designer and Jersey native Rachel Zoe to launch the blowdry bar DreamDry in 2013. “We wanted to elevate the assembly-line kind of salon and create a sophisticated experience that was fast and higher end.” Clients appreciated the one-hour service by DreamDry stylists—who complete a proprietary training program to ensure quality—and the ability to earn points toward future services. DreamDry took off. In 2017, the pair took the idea a step further by adding other beauty services to the mix. That meant acquiring brands already at the top of their games that offered stellar services and name recognition: Pucker Eyelash Extensions; Spruce & Bond (a brow lab that offers facial peels and hair removal); and Valley Manicure & Nail Art. Gov. Phil Murphy has accepted the resignation of New Jersey Economic Development Authority board chair Laurence Downes, as well as called for five other board members to step down. The calls, first reported on NJ Advance Media, come amid increased scrutiny of the EDA’s incentive programs and the role past administrations have allegedly played in unfair practices. Just last week, a grassroots activist group called for such an ousting, including blaming the EDA’s inefficiencies on board appointees of prior administrations. The group comprised of about 50 organizations including the Latino Action Network, New Jersey Policy Perspective and a significant number of unions. NJPP was listed twice on the letter provided to ROI-NJ. NJPP spokesman Louis DiPaolo said the letter signifies the understanding that the new administration has been focusing on righting past wrongs, but the board — comprised of some holdovers from prior administrations — needs to change. Downes, the EDA’s board chair, was originally appointed to the board by Gov. Chris Christie in 2017, and named board chair by Gov. Phil Murphy. Charles Sarlo has been on the board since 2005, originally appointed by Gov. Richard Codey, and reappointed by every subsequent governor. Phillip Alagia and Massiel Medina Ferrara were appointed by Christie in 2014, and Louis Goetting and Bill Layton were appointed by Christie in 2017.
Business leaders said the call last week for the resignation of the board was over the top. “There has been no decision made or anything beyond a couple of hearings,” said Michael Egenton, executive vice president of the New Jersey Chamber of Commerce. Michele Siekerka, CEO and president of the New Jersey Business and Industry Association, said the governor’s task force also needs a chance to complete its work first. “It’s important for the governor’s EDA task force to conduct a full investigation and verify any identified deficiencies on how the EDA has been administered,” she told ROI-NJ. DiPaolo said it is simply about ensuring the integrity of future of incentives remains intact. Requests for comment from the governor’s office and the EDA were not immediately returned Wednesday morning. Many entrepreneurs have transformed garages into squeaky office chair- and computer-equipped startup centers. It’s well-traveled territory for businesses getting their start. Joe Colangelo’s own startup story has a twist on that trope: His business began in his driveway. There was a car parked in it, and not even his own. Boxcar, the business Colangelo now heads as CEO, started with him renting out the driveway at his Cranford residence to people traveling to New York City by train. It was a bit of extra money. And, if he wasn’t using it, why not? As it turns out, a lot of property owners who have extra parking available during the week look at it the same way. Like AirBnB, Colangelo’s Boxcar has experienced early success with a platform that allows people to rent out space that’s not in use, just as he did. From the confines of Colangelo’s driveway, the business has grown to serve 25 towns in New Jersey and municipalities in several surrounding states. Boxcar has reached 5,000 customers, a group that makes roughly 500 parking spot reservations each day. 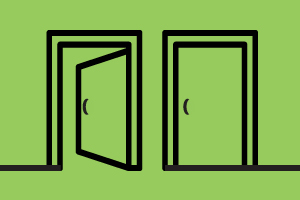 Acquiring more customers isn’t the hard part. Limited parking options for commuters around the Garden State makes the need obvious. The company had 8,000 reservations through the new app last month and expects to double that in May. What’s hard, Colangelo said, is finding and then convincing enough property owners to rent out the needed spaces. The company just brought in two dedicated sales experts to recruit potential parking partners. So far, religious centers have been some of Boxcar’s most eager participants. Boxcar makes it worthwhile for the property renting out parking. If someone is paying $6 for the day, Boxcar keeps $1.50 and the remainder of the share goes to the facility. Amid towns and cities pushing back against the use of so-called “sharing economy” services such as AirBnB, Colangelo said he has been pleasantly surprised with how his own service remains in local leaders’ good graces. Boxcar finds commuters a place for their cars. It helps that towns are seeing the value in the service in material terms, as Colangelo explained. It won’t take long before more towns are apprised of the app, given that it’s expanding from just doing parking near public transit hubs to adding parking around events and the Jersey Shore. This opens up a revenue stream for the app and its participating properties outside of the weekday commute. Colangelo has come a long way with the early entrepreneurial venture that had him handing out fliers at local train stations. Boxcar CEO Joe Colangelo, co-founder and chief operating officer Owen Lee and the rest of the small startup team have their own commute to make. They travel to what Colangelo believes is an epicenter of the state’s startup ecosystem — the coworking space offered by Newark Venture Partners at Rutgers Business School in Newark. “Being here, we surround ourselves with a lot of other forward-thinking technology companies in New Jersey,” he said. The Boxcar team does a lot of thinking about how people commute as well as where they work in the state. That brainstorming led the startup to introduce an added service allowing people to reserve office space and spots at coworking facilities like the one they work in. Reach Boxcar at: boxcarapp.com or 908-485-PARK (7275). SGW is proud to announce the addition of Jeff Buonforte as the agency’s director of bank marketing. Over his career, he managed and directed essential banking departments, including marketing and communications, government and municipal relations, commercial lending, retail and wealth management, as well as Lakeland Bank’s scholarship foundation. EDriving, a leading global provider of driver risk management programs, has appointed Cory Fee as vice president of customer success for Asia Pacific/Middle East and Africa. His appointment, based in Australia, completes the creation of Cape May-based eDriving’s global customer success network that provides support to clients in over 100 countries around the world and approximately 1.2 million fleet drivers using the Virtual Risk Manager and/or MentorSM patented closed-loop risk reduction programs. Digital Dog Direct is proud to announce David Krawczuk has joined the team as chief operations officer at its headquarters in Ewing. Krawczuk fulfills both a strategic and operational role, taking the helm on day-to-day management while also driving the company forward as a leader in the direct marketing industry. Krawczuk brings over 30 years of experience in offset and digital printing, marketing communications, direct mailing and project consulting to his role at Digital Dog Direct. Most recently, he served six years as vice president, marketing technology for Mittera/EarthColor in Parsippany. Prior to that he was vice president, operations for the digital division of Sandy Alexander in Clifton. Veteran real estate executive Robert Kwiatkowski has joined R.J. Brunelli & Co. LLC in the newly-created position of vice president of tenant representation. Among his responsibilities, Kwiatkowski will serve as account manager for Jersey Strong, formerly Work Out World, which R.J. Brunelli and Co. have represented for over 25 years. Jersey Strong is currently seeking 25,000- to 40,000-square-foot locations in Ocean, Monmouth, Middlesex, Mercer, Somerset, Union, Essex, and Morris counties. Kwiatkowski, who has nearly 40 years of experience in the commercial real estate field, comes to the Old Bridge-based retail property brokerage from Toys “R” Us, where he served as director of real estate-new store development/asset management since 2009. In that role, his responsibilities included evaluating existing assets within the United States and developing a strategic plan to implement the company’s initiatives to integrate the Toys “R” Us and Babies “R” Us brands into one store. Mandelbaum Salsburg P.C. is pleased to announce that Gary S. Young has joined its Corporate and ERISA practice groups as a member, where he’ll utilize his more than 40 year of legal experience to provide clients with a unique perspective on ERISA and tax matters. His practice will focus on ERISA, employee benefits, executive compensation as well as assisting businesses and individuals with drafting business formation contracts and documents, and advising on tax audit rules. The Roseland-based firm also announced that Christopher Salloum has joined the firm as an associate in the firm’s Healthcare and Government Enforcement & White Collar groups. A former deputy attorney general, Salloum will use the skills he developed in that position to assist licensed professionals facing fraud investigations before various professional licensing boards, including the State Board of Medical Examiners, and unlicensed individuals in health care-related prosecutions. Since its founding in 1930, Mandelbaum Salsburg has been “built on relationships and focused on results.” The firm and its 75 attorneys are committed to providing clients with the highest level of personal, hands-on attention to their legal needs. In a move reflecting continued growth and broad, specialized services, Caryl Communications has promoted Karen Ravensbergen to vice president. A public relations and marketing firm based in Paramus, CCI has consistently expanded its services and team over the years to meet the industry’s evolving dynamics. In the past decade, the rapid growth of communications technology has further increased the opportunity to connect through multiple platforms. “This well-earned promotion reflects Karen’s many talents, her hard work and her commitment to the company,” noted Caryl Bixon Gordon, president. She originally joined the agency in 2014 as an account coordinator with a strong background in PR. She quickly became a manager and was then promoted to assistant vice president. Goldberg Segalla added associate David J. Coppola to the law firm’s General Liability Practice Group in Princeton. Coppola was previously with Travelers Insurance in New Jersey. Coppola focuses his practice on representing clients in a broad range of general liability matters. He is involved in all aspects of the claims-handling process, from inception through trial and appeal, including mediation. He received his bachelor’s in political science with a minor in English from Villanova University before going on to earn his law degree from Notre Dame Law School. Gregory Scharpf, Amboy Bank CEO and president, recently announced the hiring of John S. Pancetti, vice president and senior commercial loan officer. Pancetti joins Amboy Bank from Spencer Savings Bank, where he served as vice president and relationship manager. Pancetti graduated from Wagner College with a Bachelor of Science in economics & business administration, as well as from New York University with a diploma in real estate & investment analysis. He currently resides in Old Bridge. Provention Bio Inc., a clinical stage biopharmaceutical company dedicated to intercepting and preventing immune-mediated diseases, today announced the appointment of Dr. Douglas Jacobstein as vice president of clinical development and Alex Rabiee as vice president of business development. Three area residents, Celia Colbert of Summit, Dr. Russell Langan of Jersey City and Richard Ritholz of Short Hills, were recently named to the board of trustees at Saint Barnabas Medical Center, an RWJBarnabas Health facility in Livingston. “I welcome our newest board members and thank them for their passion, talent and dedication to further Saint Barnabas Medical Center in our mission to provide compassionate care, health care excellence and superior service to our patients and their families,” said Stephen P. Zieniewicz, CEO and president, Saint Barnabas Medical Center. Also known as wild leeks, ramps make a bright green fleeting appearance every spring: three frenzied weeks of foraging, Instagramming, and (oh yeah) cooking and they’re gone. If you’ve never tried ramps, now’s the time. Chefs get pretty excited about ramps—they’re genuinely delicious, locally available, and versatile (you can find them pickled, grilled, pureed, in pesto and more). As for the flavor? That’s harder to describe. They’re in the allium onion family, slightly sweet like leeks and pungent like garlic (but not garlicky). You’ll just have to try them for yourself using this restaurant round-up as a starting-off point. Here’s where to find ramps in NJ right now. The celebration kicks off on April 20 with Turtle Fest. “It’s a big draw that starts off with a pancake breakfast,” says Tedesco. Subsequent events include the 7th annual Spring Shorebird and Horseshoe Crab Festival, May 18-19; and the 50th Anniversary Weekend Celebration, June 22-23, with free admission. Herbert Mills, a Cumberland County resident and former executive with the World Wildlife Fund, was the guiding force behind the founding of the institute, which began with the purchase of 6,000 acres of marshland. Mills, who died in 1972, recognized the importance of New Jersey’s wetlands. “Wetlands are some of the most biologically diverse ecosystems, rivaling rainforests and coral reefs,” says Tedesco. Most of the original acreage purchased for the nonprofit institute is now part of the Cape May Wetlands Wildlife Management Area. Meanwhile, the institute remains steadfast in its mission of research, conservation and education. It received more than 17,000 visitors in 2018, plus more than 12,000 schoolchildren. Attractions include a 720-foot-long elevated boardwalk that provides a close-up view of marsh life. On a clear day, the institute’s 40-foot observation tower offers views of the barrier islands and thousands of acres of marsh. A 122-foot-long dock is used for eco-cruises on the Skimmer, a 40-foot pontoon boat, and back-bay kayak and paddleboard tours. There are no photos with those IDs or post 212445 does not have any attached images!